SKU: 50737. Category: 1940s, 1930s, Decades, Shoes. 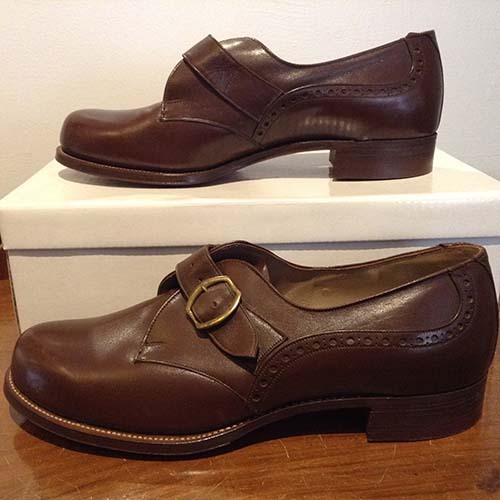 A simply beautiful pair of 1930/40s leather shoes by ‘Equity’. I’m not sure if these shoes have ever been worn. Just look at the soles! Size – marked 5 (and underneath, the number 209, which could be the model number?) but I would think a 4.5 foot would also be comfortable in this shoe. 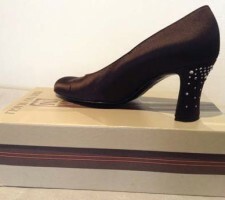 There is a buckle and strap which enables you to slightly adjust the width for comfort. 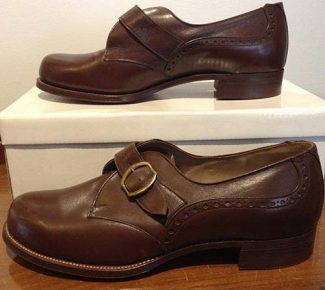 As often is the case with vintage shoes, the inner only covers the heel area and doesn’t extend the full length of the inside of the shoe. Condition: Almost perfect, unworn condition! There are one or two little scuff marks which I imagine may have been due to their storage and/or moving them about as the soles look practically untouched. 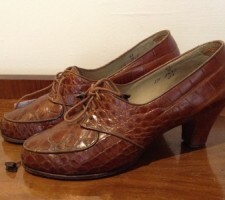 I have taken more photos so please do just email me if you would like to see further pictures of this stunning pair of vintage Equity shoes.